This is a free resource and is aligned with the ELA CCSS. 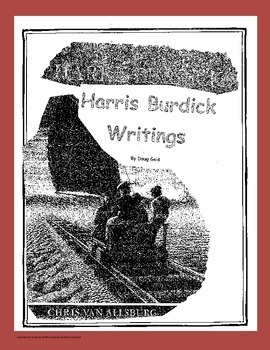 I was given permission by the publishing company to use the book "The Mysteries of Harris Burdick." Included is a teacher friendly lesson plan, CCSS progressions, writing prompts and pictures from the book. It can be used with grades 3-12 for narrative writing that meets the CCSS. Languages are very important nowadays. And the most important language is English. I didn't want to learn it in school and sometimes i used english homework helper . My parents told me that i will regret. And what do you think? I am! I like your post, Eileen. I'm learning language now and such posts as yours helps me to learn it deeper.